We could continue through the alphabet, but instead, come talk to Dr. Julia Villa about all the reasons a tooth implant might be your best option. Whether you have already lost a tooth, or if you have an extraction scheduled at our American Canyon, CA office, we are happy to recommend the best procedure at just the right time to make your smile beautiful, healthy, and complete! If you're still having trouble with nail-biting after trying these self-help steps, it's best to consult your doctor, dermatologist, or Dr. Julia Villa. For some, it may also be the sign of a deeper psychological or emotional problem. Whatever the cause, nail-biting is a habit you need to break for your physical and emotional well-being. If you have any questions about the effects it can have on your oral health, please don't hesitate to ask Dr. Julia Villa during your next visit to our American Canyon, CA office. Although everyone’s needs are different, many patients require a retainer after Invisalign treatment. 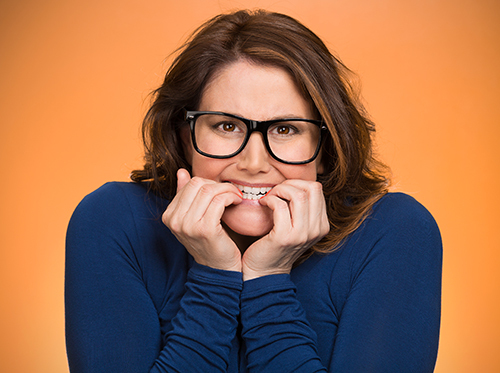 If a retainer is recommended by Dr. Julia Villa, use it as directed. Not wearing retainers could result in shifting teeth and potentially ruin your results. If you have any questions about how to care for your teeth after your Invisalign program, please ask our American Canyon, CA team. We want you to keep your healthy smile and enjoy the results of your Invisalign treatment. Our team at American Canyon Dental Care will tell you that your mouth is a complicated place on a microbiological level. Harmful bacteria form dental plaques which convert the sugars in food to acids that wear away at tooth enamel. Meanwhile, saliva washes away some of the detrimental acids, while minerals work to rebuild where teeth are damaged. The foods you eat are important for managing this balancing act between harmful bacteria and helpful rebuilding agents. Eating well is an essential part of keeping your teeth healthy. 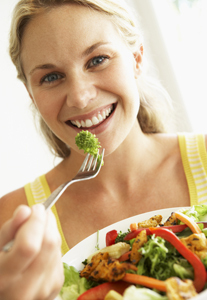 Consult Dr. Julia Villa about your diet for tips on food habits that keep your teeth strong and cavity-free. For more information about the link between your diet and your oral health, or to schedule an appointment with Dr. Julia Villa, please give us a call at our convenient American Canyon, CA office!